A three-day training on Saukhyam reusable banana fiber sanitary pads was organized for the first time in Himachal. 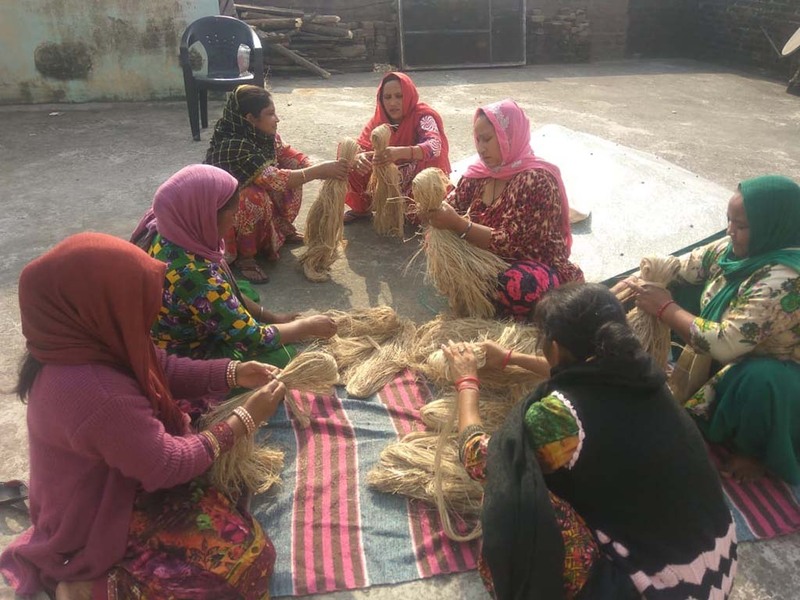 Four women from Punjab came to Indpur village to learn along with five local tailors to make a new model of banana fiber pad. P.K. Malviya, a devotee from Allahabad, conducted the training. On the first day the women treated the banana fiber by washing it carefully, and then dried it in sunlight. The following days they concentrated on stitching the soft cotton fabric around the absorbent banana fiber. Soon many pads were stitched into a comfortable shape to wear. From now on the tailors can stitch the reusable pads, teach other tailors the pattern, and start to generate their income. The most important message at the same time is that the menstrual health and hygiene awareness is included when selling the pads.